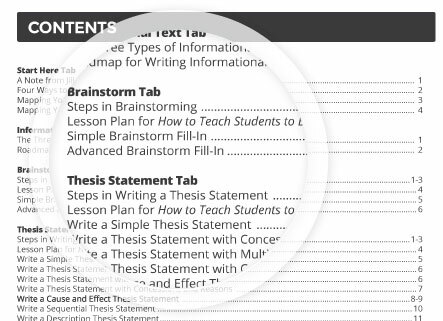 Lesson Plans for Each Writing Skill You Teach: Literally just pop them into your plan book! 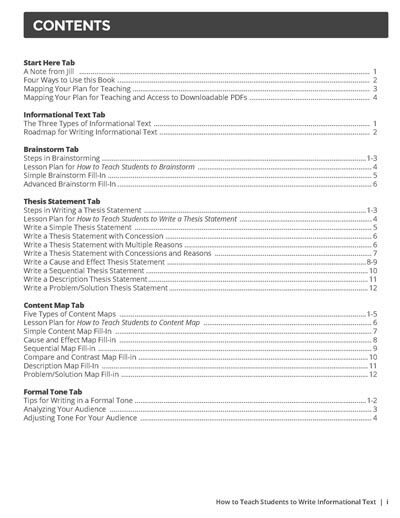 Eight Month Teaching Plan: The big picture plan is already done! 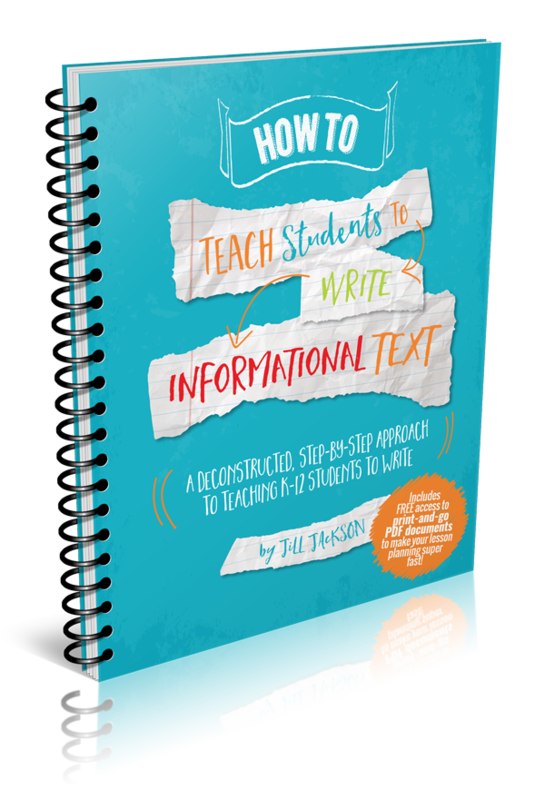 Deconstructed Steps: No fancy words or hard to understand teaching concepts allowed in this book! All in One Place Resources: No more down-the-rabbit-hole Google searches for that perfect resource for tomorrow’s teaching…it’s all here! 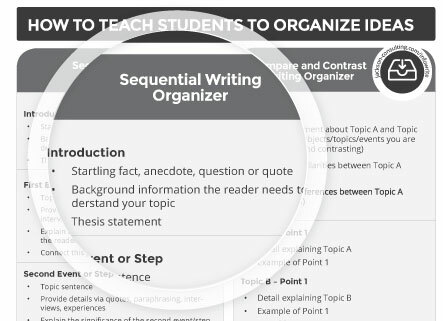 Student Fill-in and Write-able Sheets: Literally print and go or project the image on your smart board without having to sit at your computer and create new resources every week! 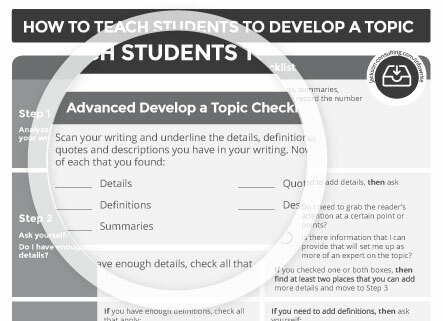 Differentiate Writing Instruction: Use the Simple resources for kids of any grade who might need more hand-holding and use the Advanced resources for those who are hitting grade level benchmark! 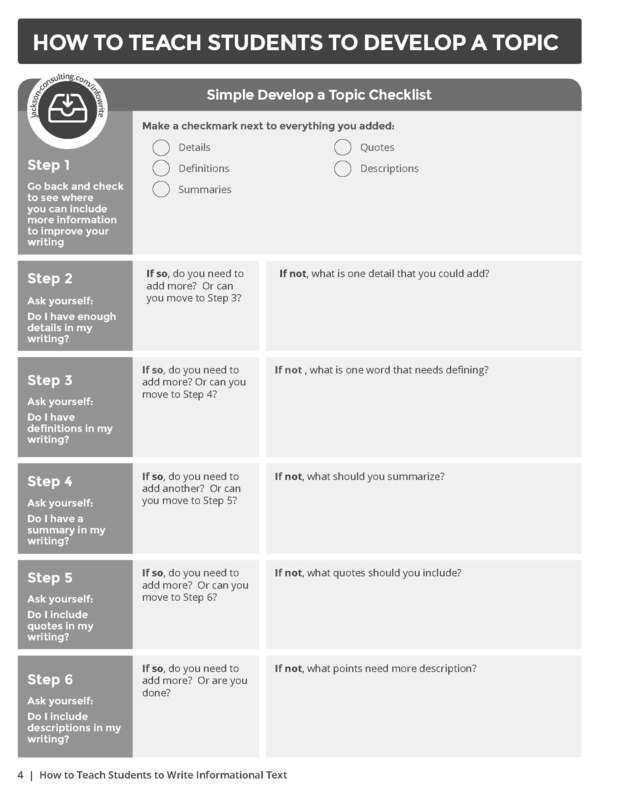 We have made 20+ printables, downloadables and fill-ins from the book available to you in simple PDF documents! 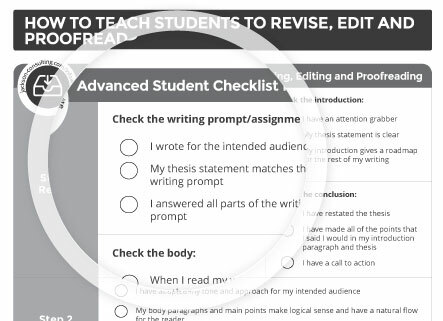 This means that you don’t have to recreate documents or resources to use right away in your classroom – they are already waiting for you online. Inside each book is a code that gives you immediate access! Teach the skills in the order they appear in this book, from Brainstorm all the way through to Revise, Edit and Proofread. 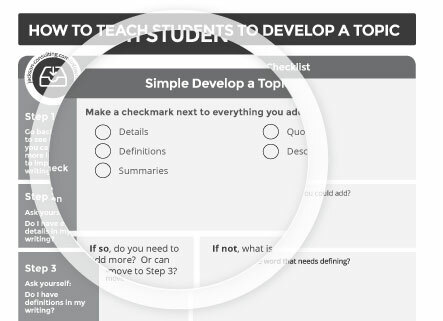 Use the steps and lesson plans behind each tab as “done-for-you” lesson plans to create a streamlined approach to teaching writing. 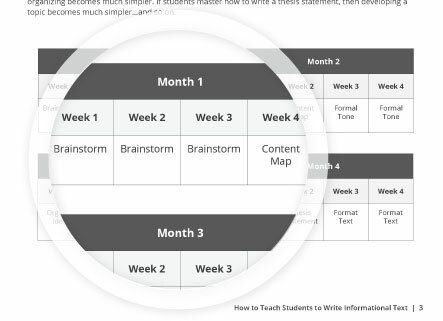 By following the lesson plan time frames found behind each tab, you will be able to map out an entire year of writing instruction! At times you’ll find that the materials you’re required to use have gaps in particular skills. As you identify gaps in your program, you can quickly fill them by tapping into the skills and resources in this book. 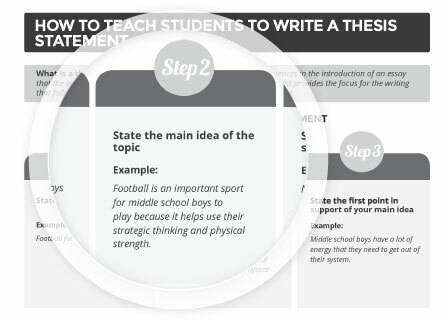 For example, if you are using an off-the-shelf writing curriculum and find that it doesn’t address how to write a Call to Action in the conclusion, simply use the Conclusion Tab in this book to help you fill-in your lesson plans for that skill. The lesson plans and how-to sections are purposely designed to mesh with other materials you use and trainings you may have had. This book does not take a position or ascribe to a philosophy of writing but is focused on how to most effectively teach each individual writing skill. If you’ve been teaching awhile, you might have a ton of great resources that work pretty darn well for your kids most of the time. Congratulations! It’s possible, however, that you might need to provide additional practice to supplement the materials you’re already using. When that’s the case, just plug in the lesson plans along with the how-to sections behind each tab to provide more practice opportunities and repetitions for your students. When working with students who are obviously struggling with learning how to write, you can use this book to diagnose each student’s skill gaps. 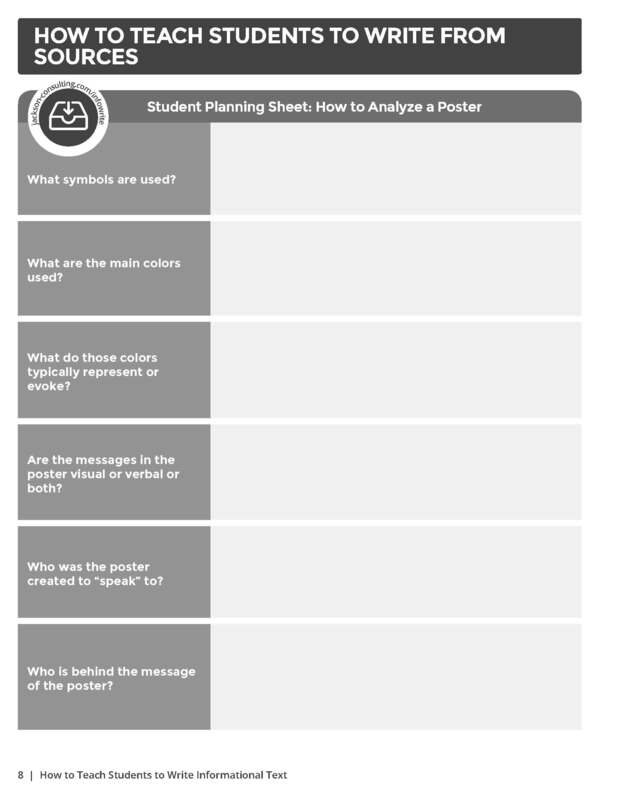 For example, you could take a piece of a student’s writing, analyze it for all of the elements in this book and determine what components are weak or missing. 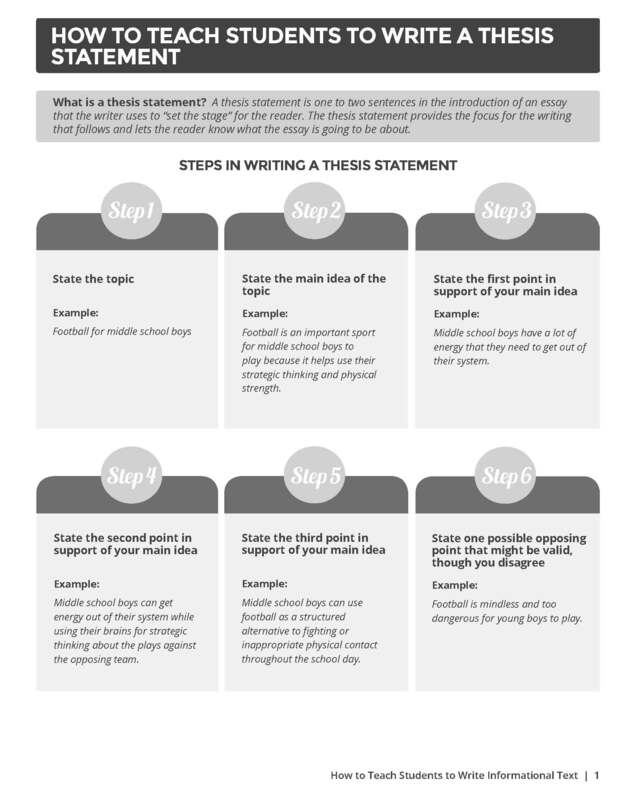 This will be your starting point for tailoring your writing instruction to most effectively help the student! 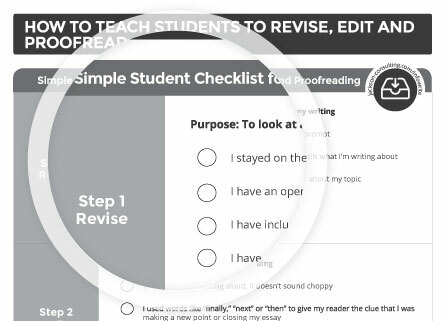 Then, beginning with the lowest-on-the-totem-pole skill the student is missing, use the lesson plans and how-to sections during your small group teaching to teach them how to write. Download some samples to try right now! I Am Ready to Teach My Students How to Write Informational Text!